Earlier this month, executive director of the Malaysian Employers’ Federation (MEF) Datuk Shamsuddin Bardan opined that Flexible Working Arrangements (FWA) could increase productivity, especially in bigger cities with bad traffic. At the same time, flexible working is thought of by 91% of Malaysians as key to retaining older staff as it allows them to have more work-life balance. 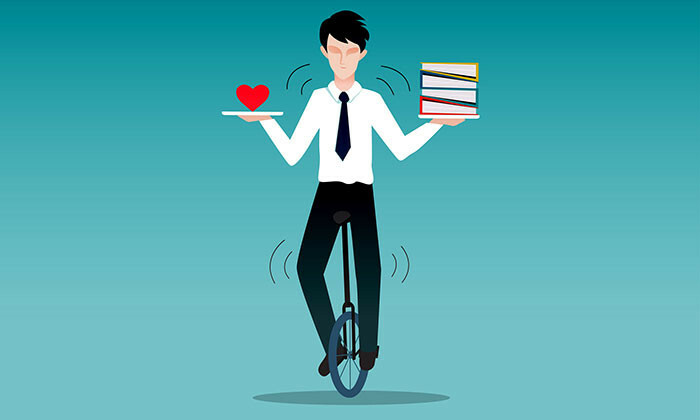 While many of today’s employers would like to think of themselves as supportive of its employees’ efforts to achieve work-life balance, a recent survey by OfficeTeam found that employees would beg to differ. Polling more than 300 senior managers and more than 500 workers aged 18 or older employed in office environments, the survey found that while 63% of senior managers interviewed said their company is very supportive of its employees’ efforts to achieve work-life balance, only 34% of staff agree. Compare this to 45% of executives and 53% of workers who felt that way in a similar survey conducted 10 years ago, and it’s not surprising to see that flexible work schedules (44%) and generous vacation time or sabbaticals (33%), and telecommuting or work from home options (12%) topped the list of perks employees value the most. The good news is that these are the most common work-life benefits at organisations – 37% of respondents noted their company offers flexible schedules, 42% reported having ample vacation days or sabbatical options, and 14% reported being given the option of telecommuting or working from home. Additionally, when asked about health and wellness benefits, employees cited access to fitness facilities or programs (27%) and wellness incentives, such as offering prizes for weight loss or smoking cessation (26%), as the most valuable. In line with employees’ increased focus on flexible work arrangements and work-life balance, PwC Malaysia has announced various enhancements to its workplace flexibility policies to attract and retain talent. These enhancements include a new initiative called FlexFridays where employees are allowed to leave work at 12:30pm every second Friday of the month; FlexTime where employees have the option to choose their working hours from a range of start and end times; and Extended Paternity Leave of 5 days for fathers of newborns. The three new initiatives were announced under the firm’s flex+ programme for workplace flexibility – a re-launch of PwC’s flexible work arrangement policies which is divided into three components – flex@work, life@work and parents@work. Additionally, in December 2016, the firm will also enjoy its first Rest & Refresh – where employees will enjoy a firm-wide block leave of 10 days. “One of our firm’s priorities over the next four years is to provide an attractive place to work for a talented and agile workforce,” says PwC Malaysia’s people partner, Pauline Ho. She elaborated that these benefits build on the various initiatives that were rolled out in recent years including the option of working fewer days a week, applying for a career break and the opportunity to claim subsidies for lifestyle activities such as gym subscriptions, travelling and massages. In his message to employees recently, PwC Malaysia’s managing partner, Sridharan Nair, recognised that workplace flexibility makes a difference to all employees. He highlighted that the new initiatives are part of PwC’s ongoing efforts to provide its employees with the flexibility they need, without compromising efficiency, effectiveness and high quality work. READ MORE: Should Friday be declared a rest day in Malaysia? Across the straits, Singapore is also seeing a situation where more employers are providing ad-hoc flexible work arrangements and leave benefits to help employees cope with personal and family commitments. According to the Conditions of Employment 2016 report released by the Manpower Research and Statistics Department, Ministry of Manpower, the proportion of firms which provided unplanned time-off or ad-hoc tele-working for their employees rose from 70% in 2015 to 77% in 2016. The survey also found that these firms employ 82% of all employees, up from 76% in 2015. At the same time, the proportion of employees working in firms which offered at least one formal flexible work arrangements (FWA) rose, from 65% in 2015 to 67% in 2016, even though the proportion of such firms was unchanged. The most common FWA offered – unplanned time-off (75%), allowing them to work part-time (35%) and report earlier or later for work (23%). Additionally, the survey found that a greater number of employers were providing leave benefits beyond the statutory requirements – including compassionate leave (92%), marriage leave (74%), and study/examination leave (40%) – to help employees cope with personal and family commitments. These organisations are not adopting work-life initiatives without reason. The report found that resignation rates were lower among organisations that offer a larger number of formal flexible work arrangements to their employees; have a higher proportion of full-time employees on a 5-day work-week; and have a higher proportion of full-time employees with longer annual leave entitlement.